Housed in a beautiful old rum warehouse, Bistrot Gavroche respects the historical structure of this timeless Sydney space while creating a traditional Parisian bistro atmosphere that’s unique to the city. Bistrot Gavroche is the perfect backdrop for entertaining, celebrations and corporate functions with menus well-suited for sharing. The wine list showcases some of the best vintages from French and Australian wineries so allow our team to create a tailored wine experience to complement the menu and impress your guests. Bistrot Gavroche welcomes group bookings in exclusive spaces with a set menu available from $55 per person. A 10% service charge is applicable to the total bill for bookings of 10 or more. With a capacity to accommodate 75 seated guests and 120 standing, we’re also happy to discuss exclusive use of the restaurant. Bistrot Gavroche’s well-curated list of wines showcases some of the best vintages from Australian & French wineries. Allow our team to expertly match your group’s dining experience with our selection of exceptional yet well-priced wine list. 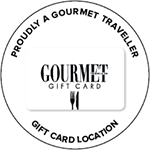 Give the gift of a Bistrot Gavroche Gift Voucher - perfect for celebrations, big or small. Whether its for visiting friends who need a fail-safe introduction to Sydney's dining scene, French foodies or seasoned diners commemorating life’s occasions, Bistrot Gavroche is the ideal choice. Groups of 8 people or more will incur a 10% service charge. A 10% surcharge also applies on Public Holidays. We’re on SHARE WITH OSCAR! Planning a night out at Bistrot Gavroche? Download the Share with Oscar mobile app and pre-book a parking spot before you arrive! Share with Oscar allows you to search for parking and book a spot on the go. It lets you access more parking spaces, at affordable prices, without the parking tickets or stress, and ensures you get to your booking on time! Share with Oscar is free to download from the App store and Google Play! VALET PARKING: Valet parking is available; $35 for 3 hrs, $45 for more than 3 hours or $60 overnight. Pull up outside The Old Clare Hotel on Carlton Street (parallel to Kensington St) and drop your keys off at the Hotel reception. Walk through the Hotel lobby and you will arrive at Kensington St. For questions about drop off, pick up and pricing, call The Old Clare Hotel reception on +612 8277 8250.